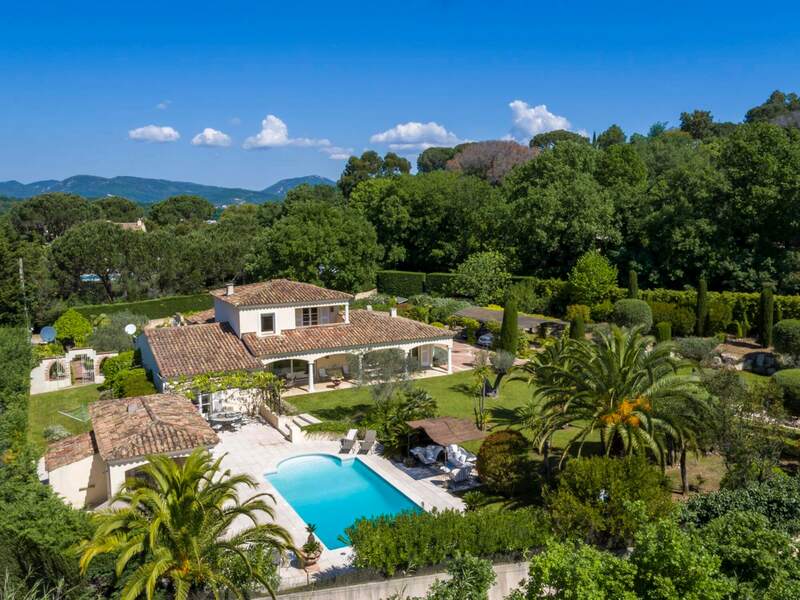 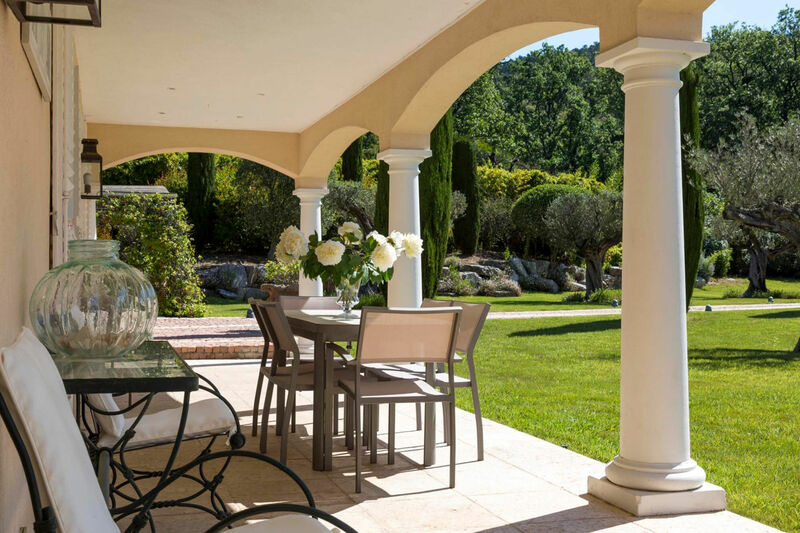 This superb villa is totally enclosed with its mature palm tree gardens, it lies just below the picturesque village of Gassin, and within reach of Grimaud and Ramatuelle and St Tropez where you will find plenty of restaurants and lively village markets. 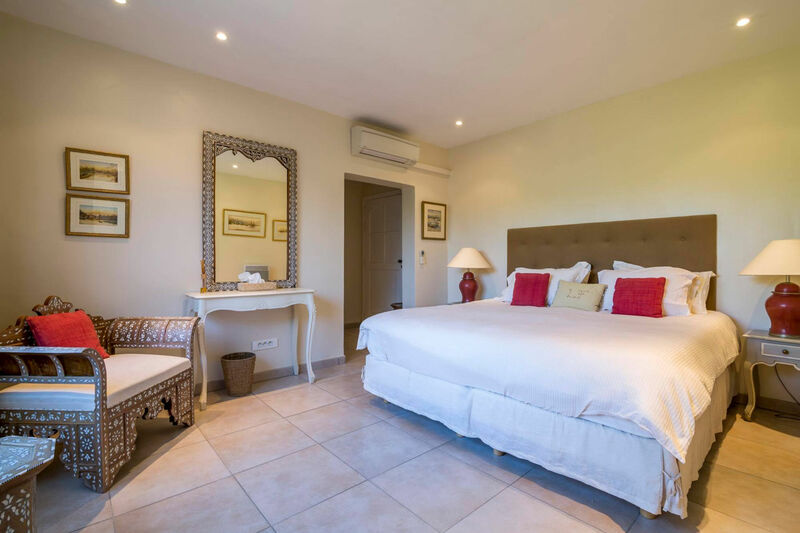 Villa Opium offers 5 bedrooms with en suite shower rooms, a large living room with open fireplace and large patio doors to terrace & pool. 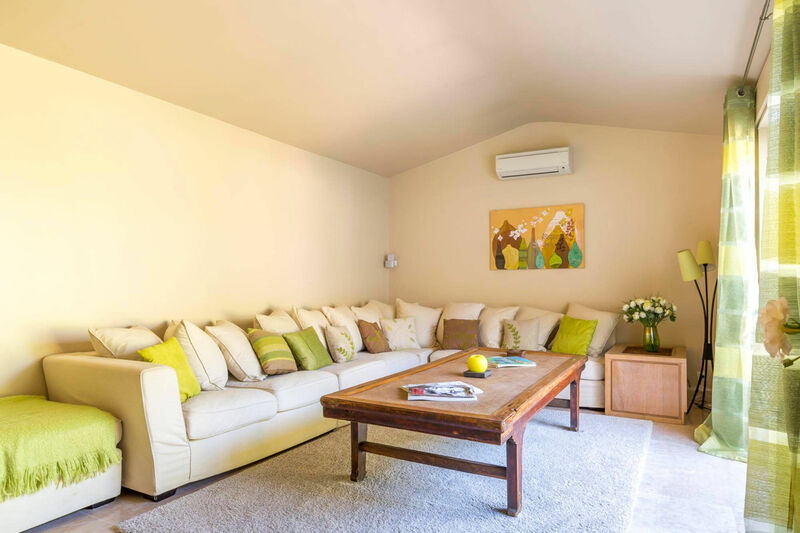 It can accommodate up to 10 guests. 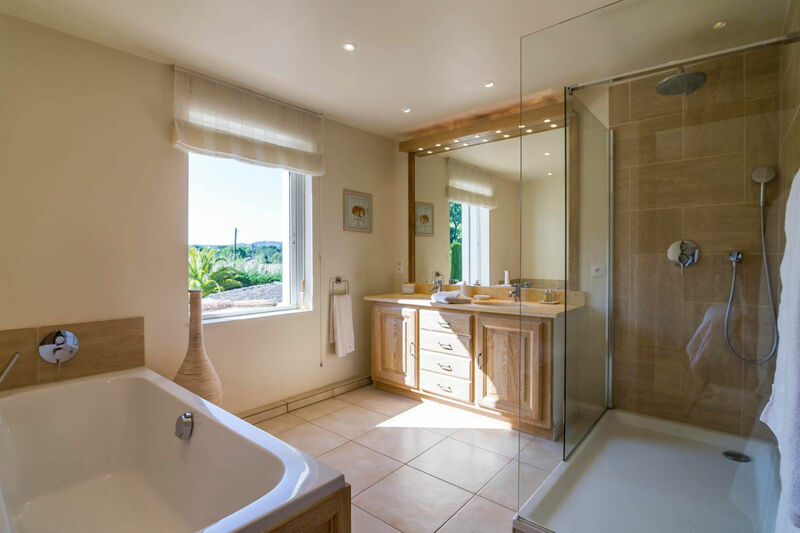 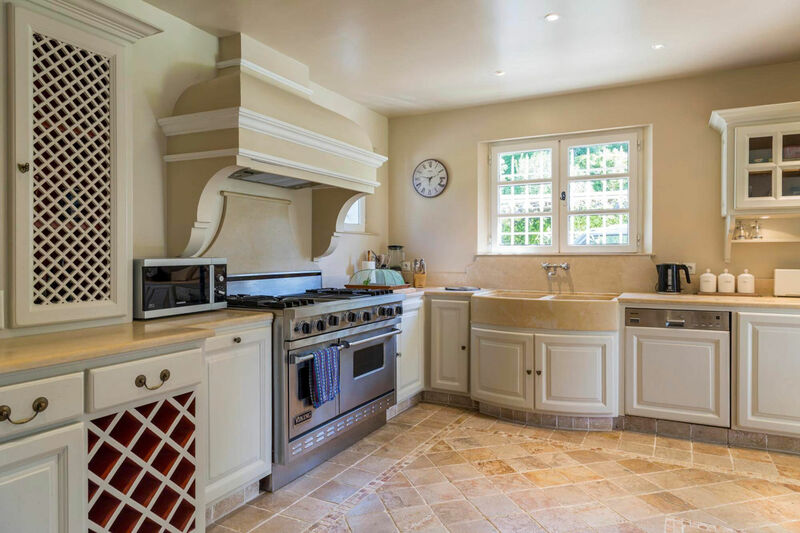 Large French windows give you the feeling of being outside all the time. 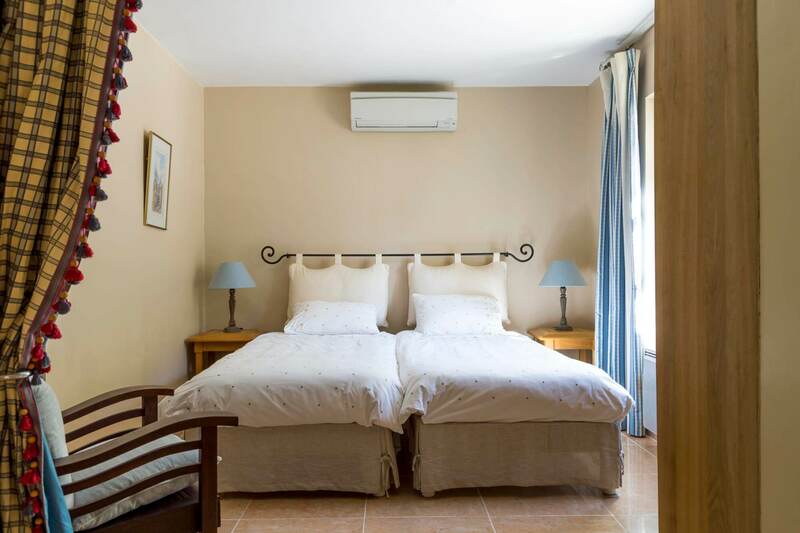 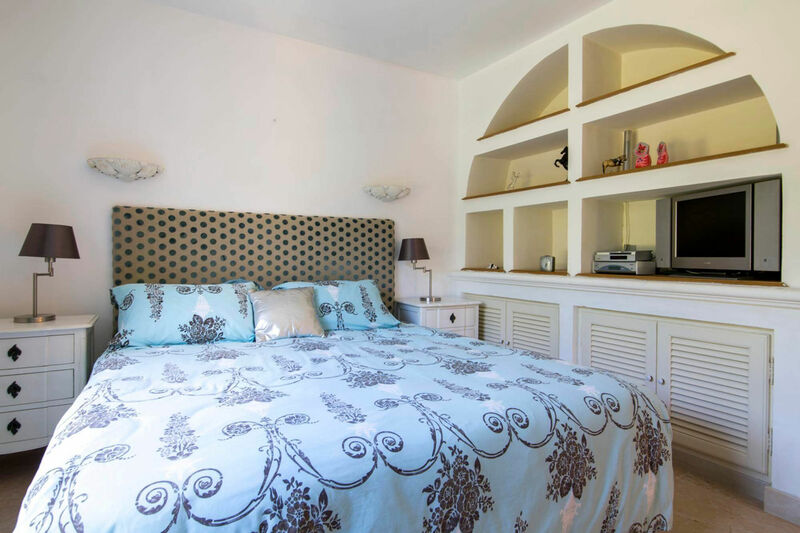 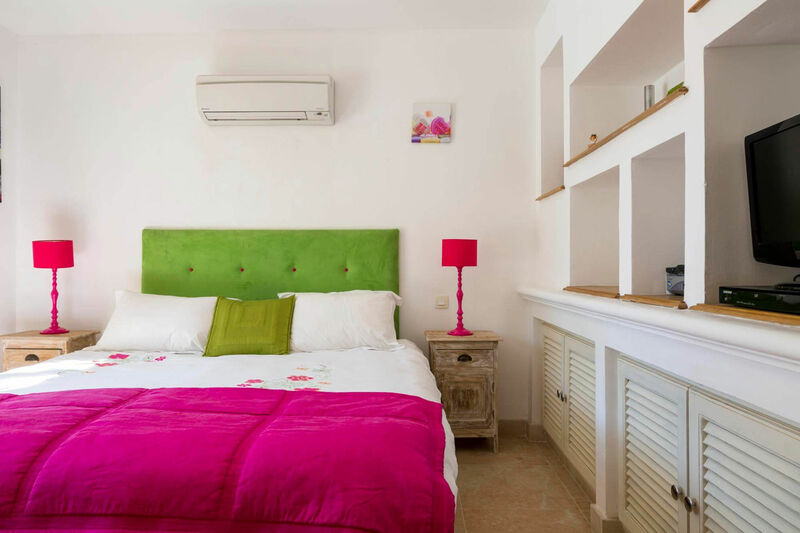 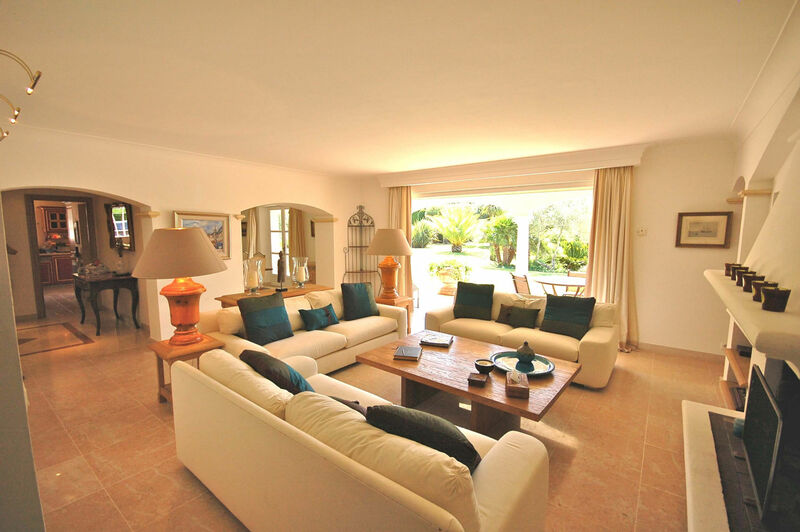 The villa is refurbished to a very high standard to offer a comfortable accommodation. 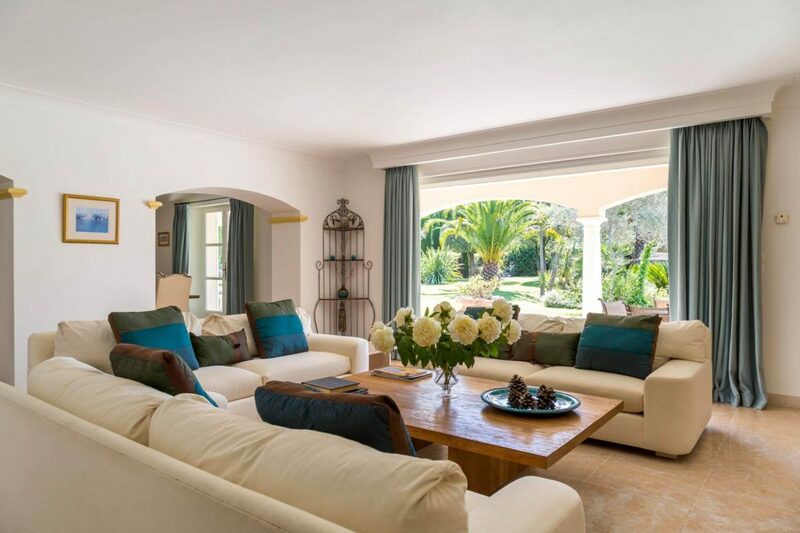 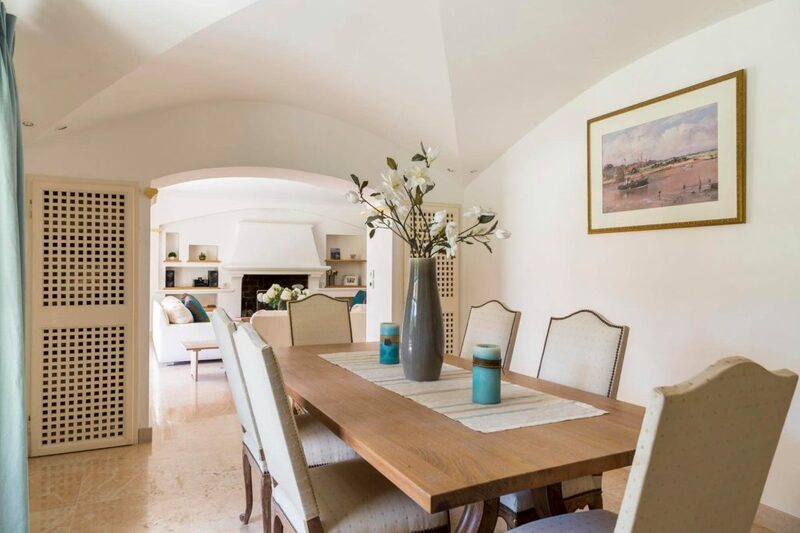 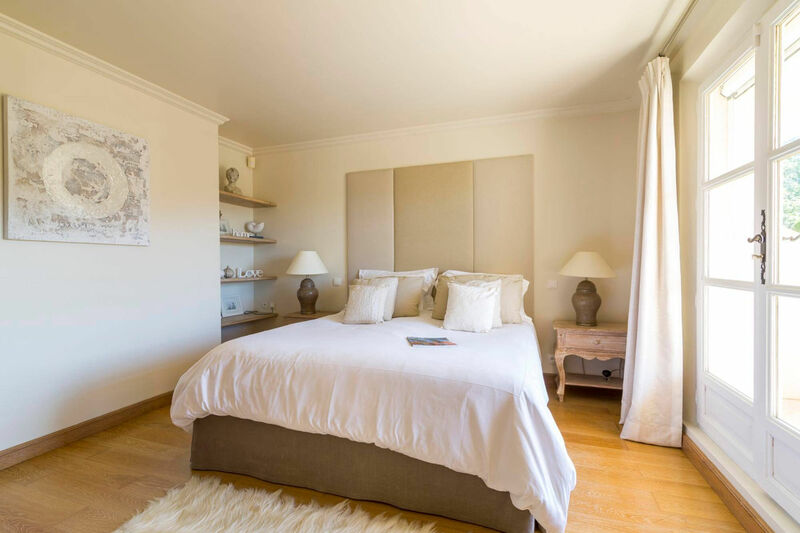 Villa Opium is light and airy with French doors and large patio windows, creating a fluent space where indoor comforts and outdoors blend together opening to the covered terrace, garden and pool with its pool house. 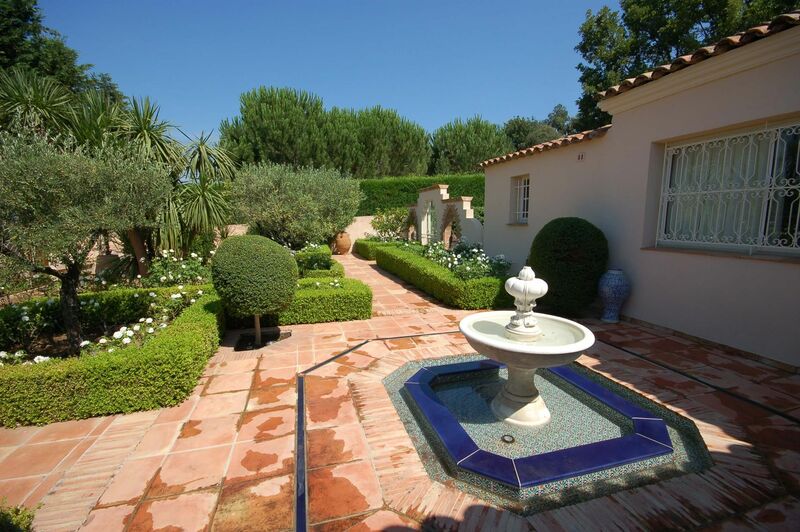 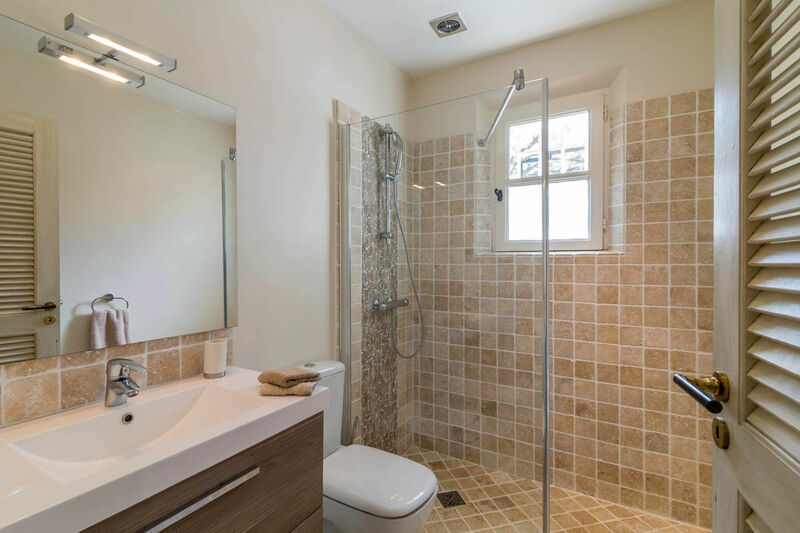 The Villa has air conditioning throughout, a patio door to the formal rear garden and fountain.